When it comes to Valentine’s Day, there are couple of things that a man should know. First, it’s that it’s on February 14th. Do not forget that date. The next is that roses you buy at the corner on the way to work will most likely cost $20-$50 more than if you buy them, say, the day before and hide them in the office. Fortunately, the interweb comes to the rescue. ProFlowers.com offers many different options for roses that will be perfect Valentine’s Day gifts, as well as additional flowers or gifts that your loved one will…well, love. If you’re looking for time-honored Valentine’s Day traditions, ProFlowers helps show the one you love just how deep your commitment goes. Not sure where to start? Find amazing bouquets (including the highest quality roses, tulips, lilies, orchids, iris, daisies and more), in ProFlowers’ Valentine’s Day flower collection. With any order, you’ll always receive the ProFlowers seven-day freshness guarantee; flowers will bloom fresh for seven days, or they will send a new arrangement! In addition to arrangements, ProFlowers also offers gourmet Valentine gifts like truffles and dipped berries that are sweet enough for your sweetheart! The ordering process was easy. I simply selected the cookies, added it to my cart, then selected the delivery date. The shipping & handling charge was $14.97 and I could essentially select any day for delivery. For weekend or holiday delivery, there may be a surcharge. I ordered the cookies on 2/2 and they arrived safely at my door at 2/4. Without delay I tore….I mean “my friends and I tore” into the box and ate the first cookies. They were just delicious. I mean….Oreos? Good. Chocolate? Good. Chocolate AND Oreos? Bliss. The quality of these cookies can be proven by the numerous foil wrappers and the rapidly dwindling number of Oreos in the cookie jar. But maybe you aren’t feeling quite so adventurous and you want to give traditional roses. ProFlowers is a great store for roses as well. 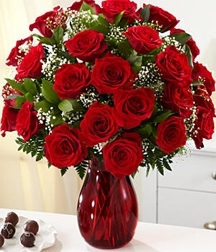 You can get beautiful, red, long stemmed roses from ProFlowers for just $39.99. If you aren’t quite at “red rose status” with your loved one, then you can also get a lovely bouquet of tulips or a collection of flowers for just $29.99. So if you’re one of those people who forgets to purchase your roses on Valentine’s Day, or you want to surprise your loved one with flowers at work, or you want to give them something different than just the traditional bouquet of flowers, then I definitely suggest you check out the many floral and gourmet options that ProFlowers offers. One winner will receive a $100 coupon code to ProFlowers.com! Giveaway ends at 11:59 PM EST, February 10, 2011. I’d like to give the Valentine’s Day Spectacular bouquet. I like Proflowers on Facebook with my username Mary Happymommy. I wish my husband would get me Two Dozen Sweet Expressions Roses. I would love the Gardenia Topiary. Hard choice, there are so many beautiful flowers. I would like to receive The Ultimate Valentine’s Day Gift! i’d love to get a Diamonds” and Roses bouquet in a cherry red vase! I want the Two Dozen Sweet Expressions Roses. I’d love to receive this – Harvest Select Fruit Club – 3 Months. I would love to get the Hugs & Kisses bouquet. I’d love to receive the Mrs. Field’s Bites Basket. I would love the 2 dozen sweet expression roses! I would love to give the One Dozen Red Roses with 12 Hand-Dipped Strawberries to my mom! I would love to receive the Chocolate Hand Dipped Strawberries! I’d love to get the One Dozen Red Roses with 12 Hand-Dipped Strawberries. I or “Like” The WiC Project on Facebook. I want the 20 white tulips. My favorite flower and I have the perfect vase. I like the 12 Hand-Dipped Valentine’s Berries. I’d give the 30 purple tulips because they’re different. Following proflowers on twitter as ky2here1. I would love to get the Lavish Freesia! I’d like to get the Kissed by Cupid bouquet. 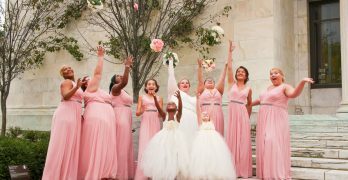 My favorite is the All the Frills bouquet! I like the love and passion orchids. 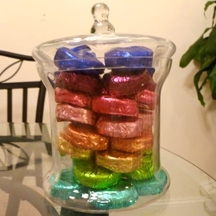 20 Sweetheart Tulips with Ruby Vase and Chocolates is my fave! I would like to receive the Hugs and Kisses flower arrangement as a gift. I would love to get the Two Dozen Long Stem Red Roses, Ruby Vase, Chocolates & FREE $50 Restaurant.com Gift Code for my husband…I would have the flowers delivered to him at work! We just had a baby and money is really tight, so we won’t be able to go out to dinner…The restaurant gift code would solve that problem! Thanks so much for the chance! I would like the V-Day Spectacular Bouquet. I like the bee mine. I like the All The Frills bouquet. I would love to get my girls the heart conversation cookies. Thank you! I like the All-In-One Valentine’s Day Special (with Ruby Vase, Chocolates & Bear). I “like” ProFlowers on Facebook. I would love to buy Cheesecake Trio & 6 Valentine’s Berries. I would like to give the Two Dozen Long Stem Red Roses to my mom. I would like to recieve the 100 blooms arrangement ! I like “Shower of Flowers”. I “Like” Pro Flowers on Facebook. would love to send hubby the Charmed in Love Bamboo plant! I Like” ProFlowers on Facebook as Carolyn Barnett and i told them you sent me. 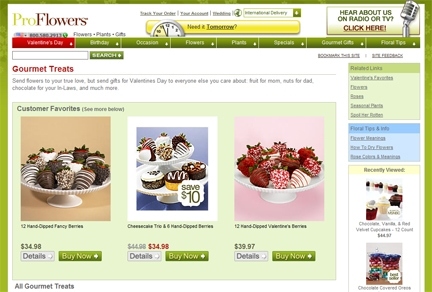 At Proflowers.com the gift I’d like to receive for Valentine’s would be the Harvest Select Fruit Club- 3 months. I wouldn’t hesitate to give this as a Valentine’s gift too, especially to the in-laws. Nice healthy fruit is a great way to let someone know you really care about them. I follow Proflowers now on Twitter. I also retweeted their 20% off special from their twitter page. I’m subscribed via email and I Like the WIC Project on Facebook. I’d love to get “A Dozen Hugs, a Dozen Kisses” bouquet. Thank you for the chance to win! I would love to get the Ghirardelli Chocolate Rush. oooo. I “followed” ProFlowers on Twitter. I would love to receive the Deluxe All the Frills bouquet. Thank you for the giveaway! I would like to receive Two Days of Valentine’s. I love organic fruit so I’d like the Organic Extravaganza. I follow proflowers on twitter as humanecats. I follow on RSS and GFC as Ericka T.
I’d love to receive the Murano Glass bracelet set. I would love to receive the Two Days of Valentine’s! I would love to get the Potted Fragrant Gardenia , I so need a sign of Spring,I’m buried here under snow. I really love the Two Dozen Assorted Long Stemmed Valentine’s Roses. I would love to send my Mom the Deluxe Cupid’s Charm they are beautiful!! I Love the Monet’s Garden. I would love to receive it! I would like to get the hugs and kisses bouquet for my wife. I love the conversation heart cookies. Following ProFlowers on Twitter (@hle123). I want my husband to get me the Purple Dendrobium Orchids! I would like to get the 2 dozen sweetheart roses. I like the “all the frills” arrangment! I would love to give or receive the Deluxe All the Frills bouquet from ProFlowers. I would love the hand dipped berries. I would love to get the Valentine’s Day Azalea Bonsai for Valentines day! Facebook fan & email subsriber to your blog! I’d like to receive the Fragrant Potted Gardenias. I like the Two “Beary” Romantic Days. 🙂 I love bears. I would love to win the ultimate two dozen long stem red roses for my wife! the Love Bug is cute… or maybe some dipped strawberries! I love to give the 12 Hand Dipped Fancy Berries to my hubby. Thanks! I love the Twenty Kisses of Tulips! I follow pro flowers on Twitter! Would love to get the Always and Forever with 12 Hand-Dipped Strawberries. I would love to receive the Deluxe Hugs & Kisses bouquet! I like the Deluxe Hugs and Kisses! I’d love to receive the Two Dozen Assorted Petite Valentine’s Roses! I follow ProFlowers on Twitter (beth_swanson). id like to get Two Dozen Sweet Expressions Roses. I would give my husband the Lucky in Love Heart Bamboo. I would love to get Snack Attack box! I like the Hugs and Kisses bouquet. I would love to give the Perfectly Graceful bouquet to my mother for Valentine’s Day. 🙂 Thank you. I would love to give the Hugs and Kisses with 12 Hand-Dipped Strawberries! I would get the Ultimate Two Dozen Long Stemmed Red Roses to send to my mom! 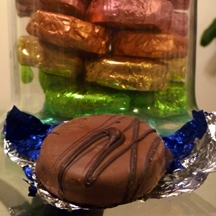 I like the Chocolate Covered Oreos for my husband. i llike the hugs and kisses!!! 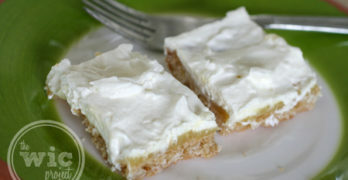 I’d love to give my hubby the ProFlower’s Snack Attack Box for Valentines day. I just love the A Dozen Hugs, a Dozen Kisses bouquet! It’s gorgeous!!! The All the Frills bouquet looks great. I would like the Deluxe Hugs and Kisses with 12 Hand-Dipped Strawberries. Thanks for the chance! I would love to send my Mom a dozen hugs and a dozen kisses she loves iris and red tulips and it looks lovely. I would like to give the 18 Long Stemmed Red Roses with the Elegant Red Vase. I like the one dozen strawberry roses. I’d like to receive the Hugs and Kisses Bouquet. I’d love the Valentine’s Day Bulb Trio AND either the amazing 30 Purple Tulips OR the Sculpted Jewelry Tree! I like the 20 kisses of tulips… I love tulips! I’d love to receive 6 months of the Harvest Select Fruit Club for $154.98. I’d love to receive the 30 Purple Tulips from ProFlowers. I love the Potted Romance Roses! I’m following ProFlowers on Twitter (I’m @LuckyJinxy). I would get the A Dozen Hugs, a Dozen Kisses from Pro Flowers very pretty.It also would be a birthday gift to myself. I would love to give the 30 Assorted Valentine’s Tulips to my mom. I would love to receive the 100 Blooms of Peruvian Lilies with 6 Hand-Dipped Strawberries. I’d like to receive the 48 Assorted Petite Valentine’s Roses. I would like to give the Mr. Beer Kit. It’s something hubby would really enjoy, but wouldn’t spend money on for himself.